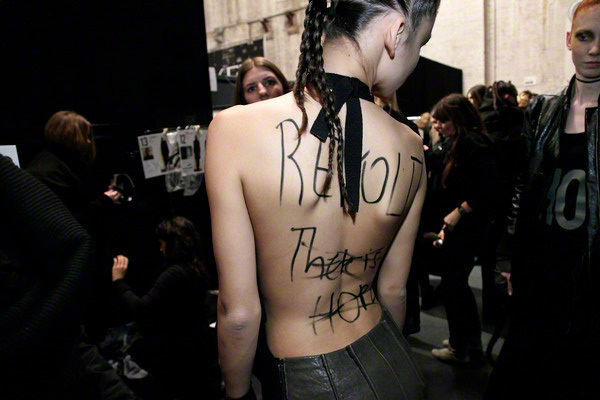 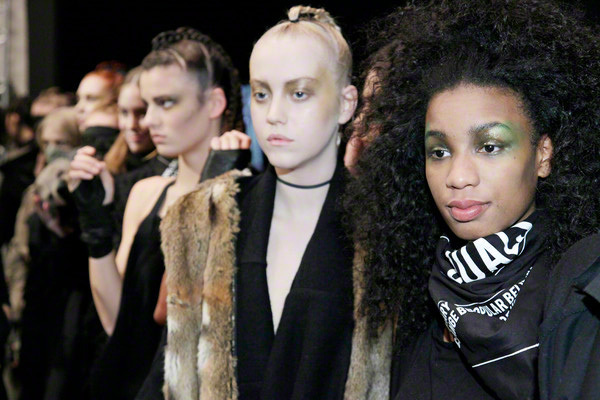 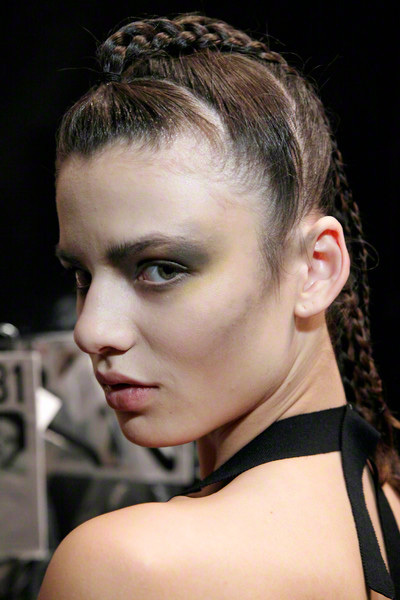 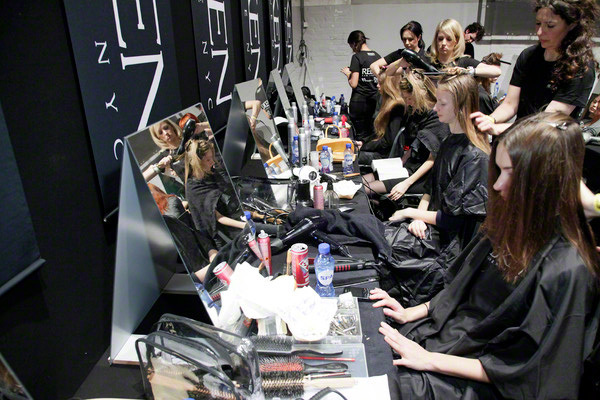 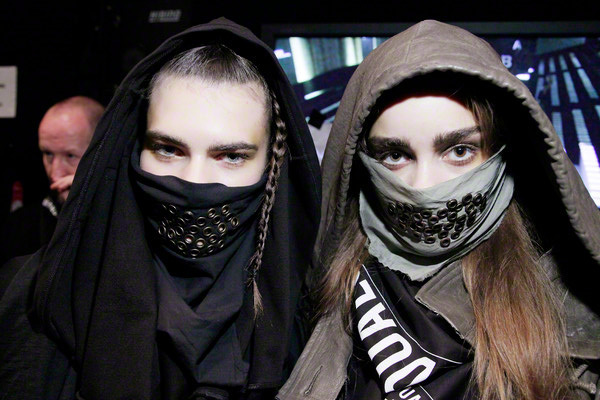 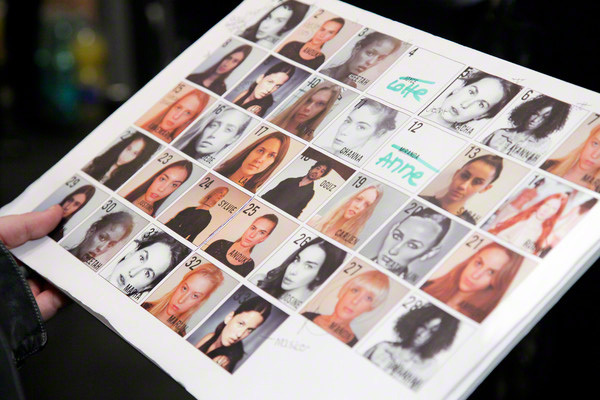 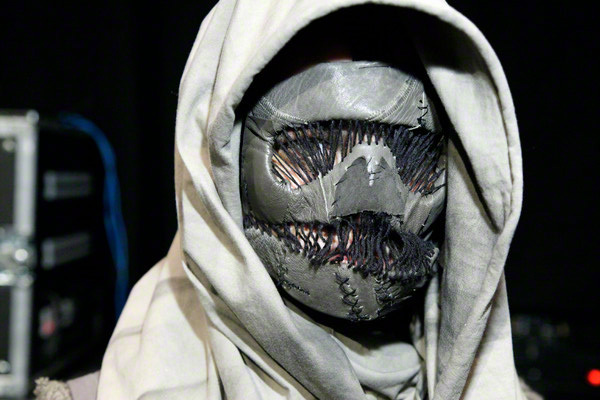 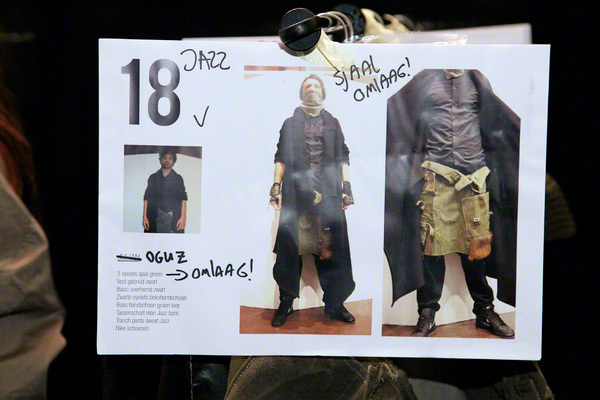 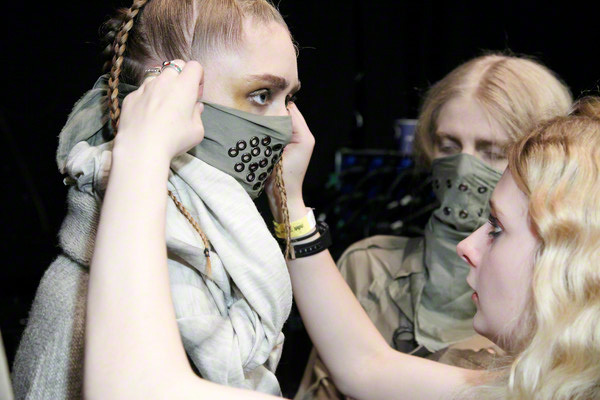 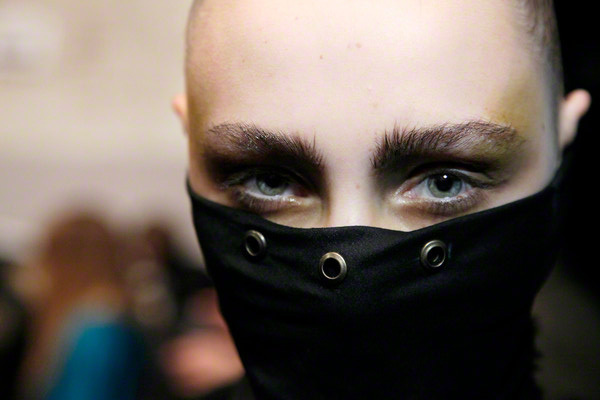 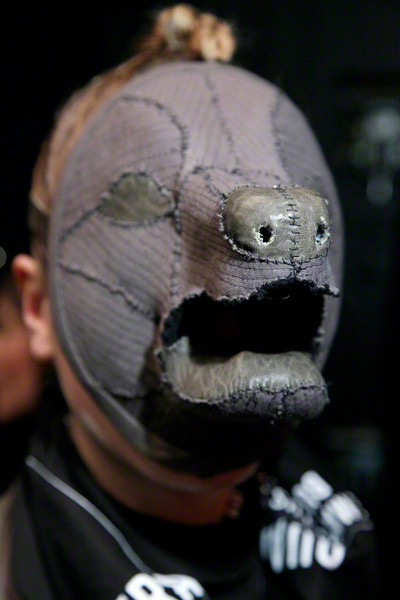 Take a look backstage at the Individuals-show which was dark and grungy. 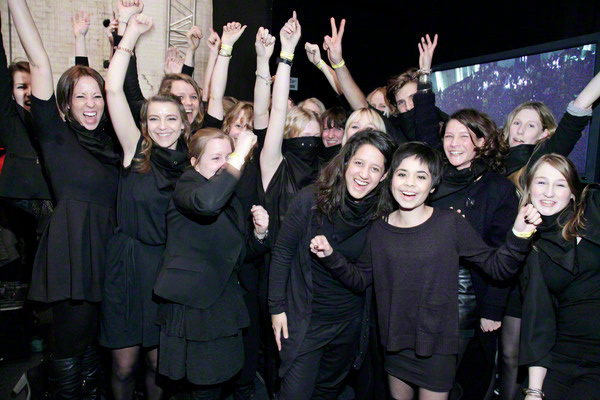 The students of the Amsterdam Fashion Institute got inspired by today’s world crisis, with protest-movements like Occupy. 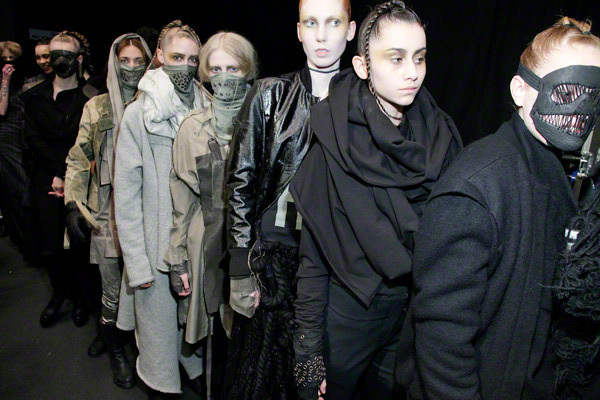 Functionality and survival are the main factor in this collection. 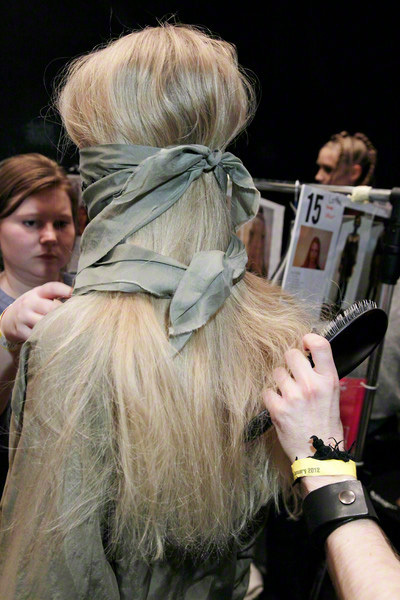 The styling, accessoiries and hair/make-up tell it all.